The Amigos lost $500,000 in their first season, largely due to poor attendance; they only averaged 1,500 fans per game in a 7,500-seat arena. Kim realized he did not have the resources to keep going and sold the team to construction company owner Jim Kirst, who moved the team as the Los Angeles Stars in 1968 and played at the Los Angeles Memorial Sports Arena in Los Angeles, The franchise made an attempt to sign legendary center Wilt Chamberlain. Chamberlain did not sign with the Stars (though he did later coach the ABA’s San Diego Conquistadors). With 33 wins and 45 losses, the Stars improved from their first season but again finished fifth in the Western Division and did not make the playoffs. 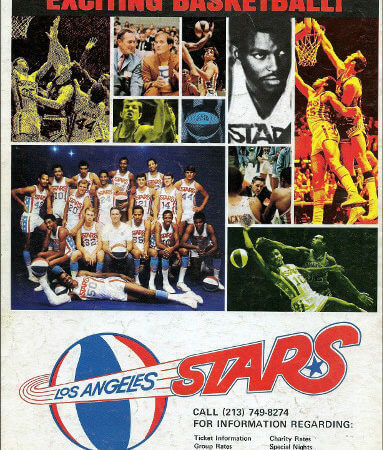 The Los Angeles Stars were an American professional sports franchise that played in Los Angeles, California from 1968 until 1970 as a member of the American Basketball Association. Stars – The Los Angeles team's nickname is derived from all the local Hollywood stars. Who is the greatest Los Angeles Stars?